Over the past decade, one response to rising health care costs has been the growth of consumer-directed health plans (CDHPs). These plans, which combine high deductibles and tax-advantaged savings accounts (or employer-reimbursed accounts), are intended to cut costs by promoting more-prudent spending by health care consumers. CDHPs represent a significant change to the employer-sponsored insurance market. They are also likely to become more widespread once relevant provisions of the Affordable Care Act are implemented as a way for individuals and families without employer-sponsored coverage to gain low-cost insurance. Therefore, determining whether CDHPs save money—and how they affect consumers' health care choices—is critical to cost-reduction efforts. 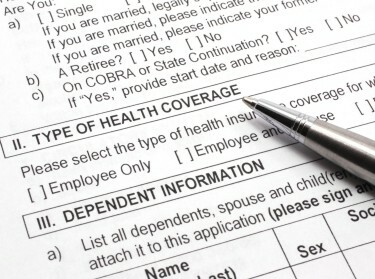 More than half of large U.S. employers now offer a CDHP. However, these plans have generated significant controversy. Advocates claim they lead to more cost-conscious decisions by giving consumers more “skin in the game.” Critics say that CDHPs do not save money overall but merely shift the cost burden from payers to consumers. Yet until recently, the effects of CDHPs on spending and care utilization had not been studied in depth. Much of current knowledge about the effects of cost-sharing comes from the RAND Health Insurance Experiment (HIE) from the 1970s, which compared consumer use of free care versus use of care at various levels of cost-sharing. The HIE found that modest cost-sharing cut costs by reducing consumer use of health care and in most cases, did not lead to worse health outcomes. However, consumers cut back on both necessary and unnecessary care at about the same rates, raising concerns that cost-sharing may lead consumers to cut back on high-value services, which could lead to worse health and higher costs in the future. Advocates claim CDHPs lead to more cost-conscious decisions by giving consumers more “skin in the game.” Critics say that CDHPs do not save money overall but merely shift the cost burden from payers to consumers. In 2011, a team of experts from RAND and other institutions completed the most comprehensive study to date on the impact of consumer-directed health plans (CDHPs), with estimates generated from analyses of approximately 60 large U.S. employers and 800,000 households. These experts examined differences in family-level costs and service use between families enrolled in CDHPs and those in traditional plans. They also combined findings from this research with population and spending benchmarks to estimate the effects of an increase in CDHP enrollment on future U.S. health care costs. 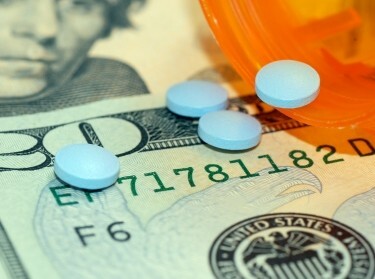 Do consumer-directed health plans (CDHPs) save money? If so, how are savings realized? How do CDHPs affect the use of high-value health care services, such as preventive care? What are the potential national impacts on employer-based spending? Families who switched to a consumer-directed health plan (CDHP) spent an average of 21 percent less on health care during their first year under the CDHP than similar families who remained in traditional plans. Two-thirds of the savings came from initiating fewer episodes of care; one-third came from spending less per episode. In addition, the plan design mattered: Spending reductions were greater for consumers in plans with health savings accounts rather than employer-reimbursed accounts. Enrollees cut back on some beneficial services, including preventive care (e.g., cancer screenings), even though they were fully covered under CDHPs. If the proportion of Americans with employer-sponsored insurance who enrolled in CDHPs increased to 50 percent, annual health care spending would fall by an estimated $57 billion. RAND showed that, while the design of cost-sharing plans matters, engaging and informing consumers are also key. Designs that reduce or waive fees for the most beneficial care can mitigate concerns about potentially negative effects of cost-sharing on the use of beneficial care, but consumers need to understand when these waivers or reductions apply. To foster informed decisionmaking regarding market-based approaches to addressing growing health care costs, RAND directly engaged with employers, benefits executives, and congressional stakeholders to share these findings and discuss policy implications. Researchers noted that in recent years, there has been marked growth in the number of employers offering CDHPs with health savings accounts (HSAs), while the number of employers offering CDHPs with health reimbursement arrangements has remained static. Because RAND's study showed that HSAs yield greater spending reductions, this trend could signal the potential for CDHPs to have a greater impact on reducing national health care costs. Although full information on health insurance exchanges is not yet available, the inclusion of CDHP options in the exchanges has received support from both political parties. 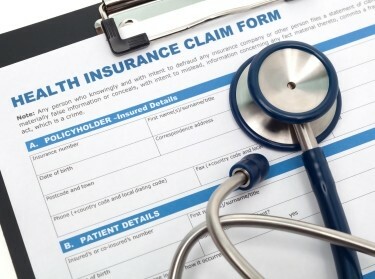 In addition, full insurance coverage of basic preventive care is required of all exchange plans. Greater awareness of this benefit among enrollees could help counteract the tendency for enrollees to forego beneficial services. Amelia Haviland, Roland McDevitt, et al. Robert H. Brook, Emmett B. Keeler, et al. David Lowsky, Ramya Chari, et al.